Happy almost Friday friends! With the weather getting cooler and dryer I've been finding my eyes drying out easier and becoming itchy and red. Since I got lasik surgery 5 years ago (wow, I can't believe it's been that long!) my eyes tend to dry out a little more or get itchy and watery during the season changes. I don't know if this is actually a side effect of lasik or just me getting older but I find myself reaching for eye drops more frequently. 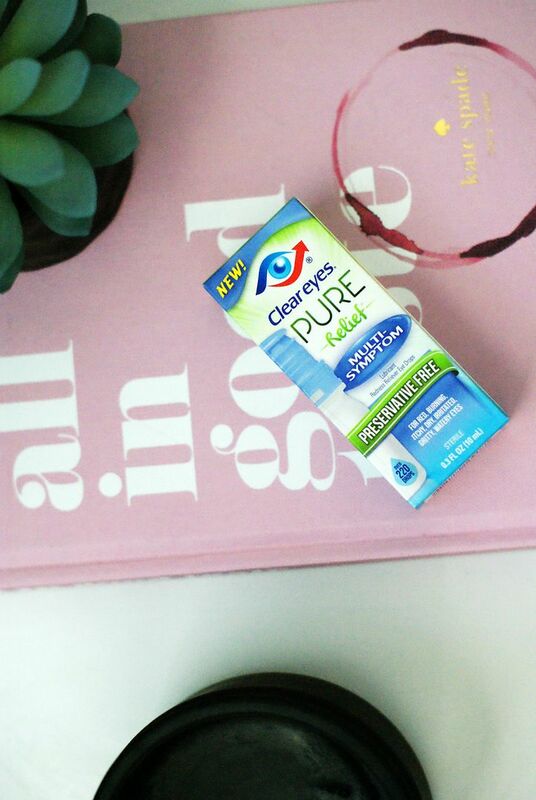 So when Clear Eyes® launched their preservative free eye drops in a multi-dose bottle I jumped at the opportunity to try them out! The first of it's kind in the US, the Clear Eyes® Pure Relief™ provides 12 hours of soothing comfort and one of my favorite things is the soft-squeeze bottle that provides maximum drop control and a built-in purifying filter that keeps out bacteria. When you pay as much as I did for lasik you really try to find extra ways to take care of your eyes but did you know that eye drops can be used for several beauty hacks besides just keeping your eyes gorgeous and bright? 1 // We all know mascara has an expiration date but have you ever noticed your mascara drying up or clumping just a few months after purchase? 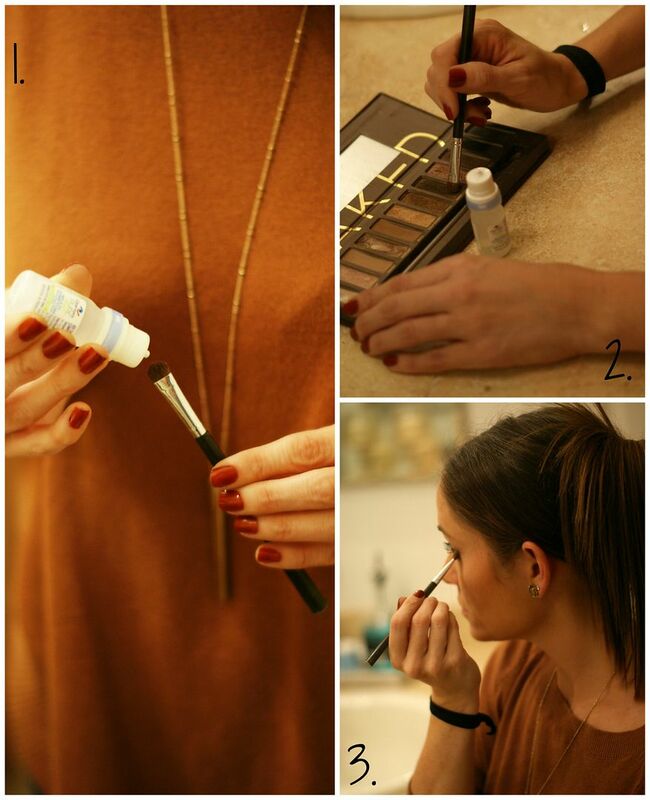 Add 2-3 drops of Clear Eyes® Pure Relief™ Multi-Symptom to your mascara tube and voila! Your mascara is as good as new again! 2 // Wake up with an ugly blemish or some redness on your skin? Saturate a cotton pad or cotton ball with Clear Eyes® Pure Relief™ Multi-Symptom and dab it on the effected area. Within 15-20 minutes the redness and swelling should go down and you'll be left with picture perfect skin! 3 // Have you ever wished your eye shadow color was really an eye liner? 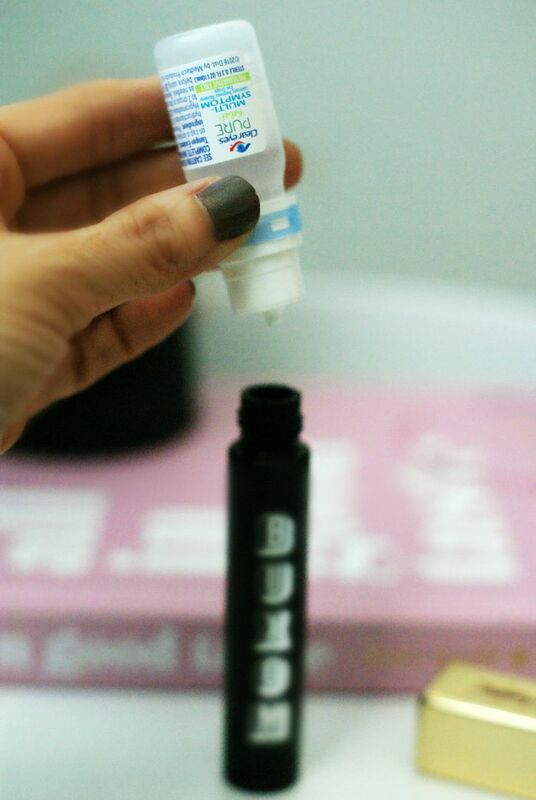 Did you know you can create custom eyeliner colors just by using Clear Eyes® Pure Relief™ Multi-Symptom in just three easy steps? Step 2. Dip the brush into your eye shadow color of choice. Step 3. Then mix the two together on the back of your hand and swipe across your lids for a custom eyeliner! 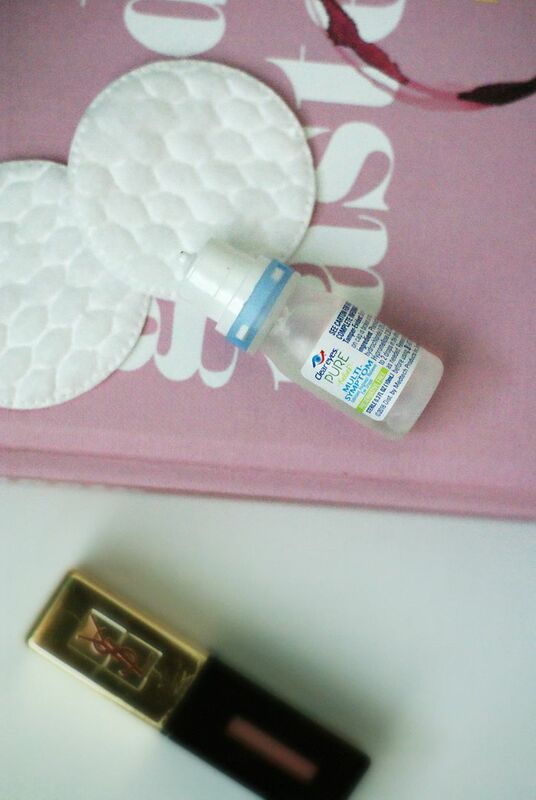 Do you have any other eye drop beauty hacks? 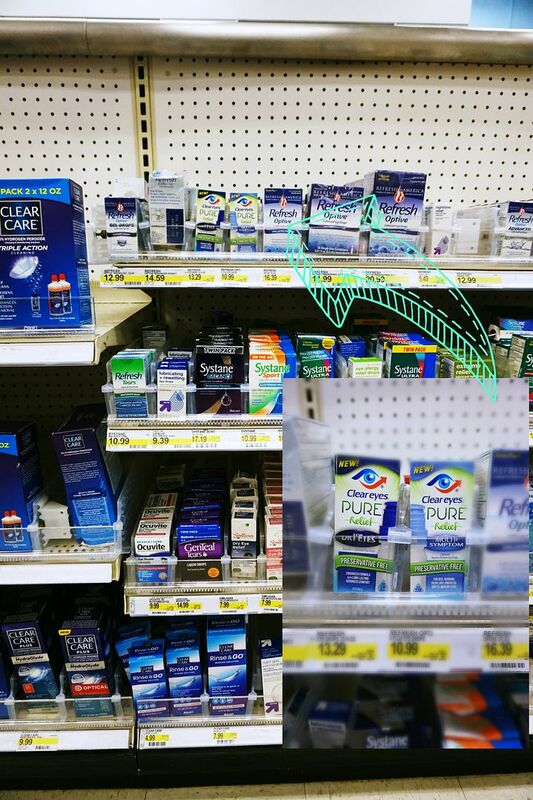 You can find the Clear Eyes® Pure Relief™ in the eye care aisle of your local Target (usually directly in front of the Pharmacy) and be sure to take advantage of 25% off using the Target Cartwheel app through November 26th! Learn more about Clear Eyes® Pure Relief™ and like them on Facebook. Don’t forget to use this coupon for $3 off! My eyes are so dry too! The allergies this year have been terrible here which makes mine really itchy and dry. Great post! this is very interesting dear! I love these hacks! I would totally use this for my dry and itchy allergy eyes too! I need to try the redness/blemish trick because it never fails when I think my face has cleared up, one little zit pops up to ruin the party! Great hacks! Clearly I need to get some of this. Awesome hacks-- especially the mascara one! That last tip with the eyeliner is genius! I always just use water, but eye drops would make that process so much easier. Thanks for the tip, girl! I feel like my eyes have been so dry lately too! 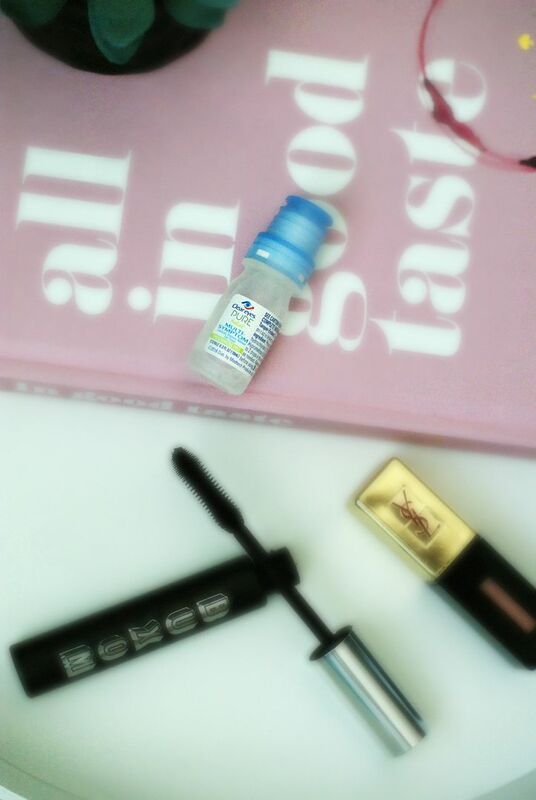 I love how you use the eye drops for different beauty purposes too! I never would have thought to drop some into my drying out mascara! this is so brilliant! i am definitely going to try it next time i have a blemish or redness (so basically, probably tomorrow). Whattt! Such a great hack, will def. have to try! I didn't know these tips! How cool! I have such dry eyes that my doctor suggested I not get Lasik. :( But I'm always looking for new drops! I think we could all use them as much as we're online! background (aside from the few physicians) that can focus on preventable health care? I haven't heard one politician speak of prevention except to speak about immunizations.